Showing recent results 631 - 645 of 4490 products found. A test of new software that determines whether all transactions flow properly between input, output and storage devices. Typically done by systems programmers, an environment test ensures that all the parts of the system are in place. 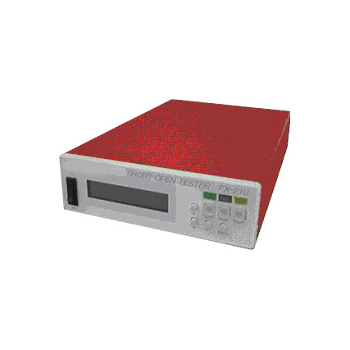 Is an electronic device intended for testing the state of an electric battery, going from a simple device for testing the charge actually present in the cells and/or its voltage output, to a more comprehensive testing of the battery's condition, namely its capacity for accumulating charge and any possible flaws affecting the battery's performance and security. A breathalyzer or breathalyser (a portmanteau of breath and analyzer/analyser) is a device for estimating blood alcohol content (BAC) from a breath sample. Breathalyzer is the brand name (a genericized trademark) for the instrument that tests the alcohol level developed by inventor Robert Frank Borkenstein. 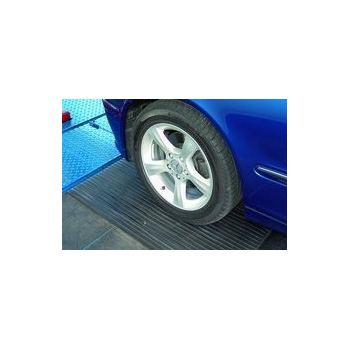 The testing station consists of a testing cage made from aluminium profiles. The front section is fitted with a safety light shield. This guarantees very quick operating processes. 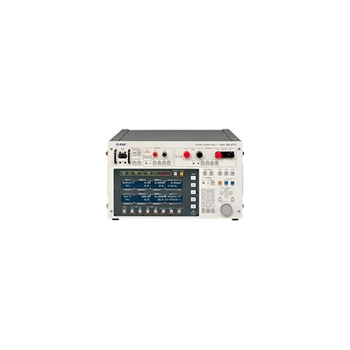 DZ800d/e Series - Shanghai Aoboor Electric Co., Ltd.
Applicable to electrical properties test of stators of Y-type three-phase motors, single-phase primary and secondary motors, single0phase multi-speed motors, automobile generators, brushless motors, series excitation motors servo motors, and synchronous motors. 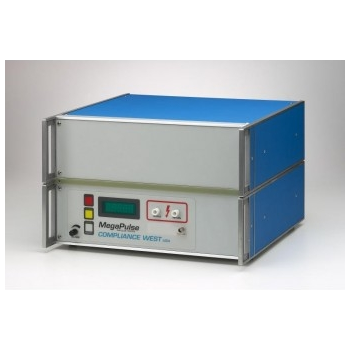 specifically designed to perform the Input Test on PV Panels in accordance with IEC 61730-2, Para. 10.5.3. The output is in accordance with the published waveform from 800-10000V peak (open circuit). 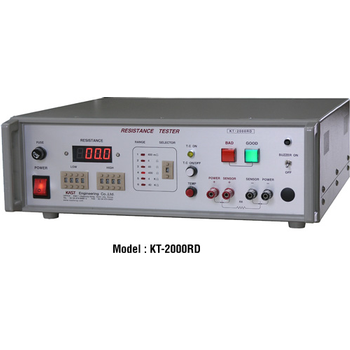 KT-2000RD - Kast Eng Co. LTD. 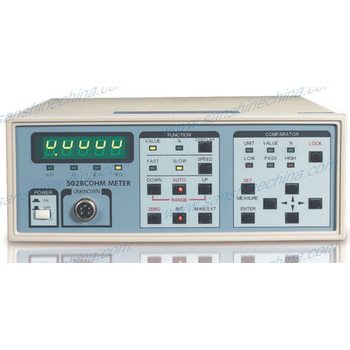 This equipment represents the wanted resistance value in digital figures and at the same time, is an ohmmeter which decides products to be bad in case of being out of the previously set range of H,L and to be good in case of being within the range. Moreover, because it is designed and manufactured on the basis of KAST's business experiences and know-hows accumulated through on-the-spot works for a long time, it is highly trustable, especially strong to noise and impulse that occur on the bad electric condition of on-the-spot or on the connection with any other equipments, and also is convenient for use. 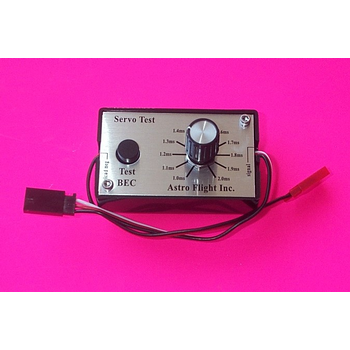 105 - Astro Flight Inc.
Simulates a receiver so you can test your motors and servos without having to use your radio. 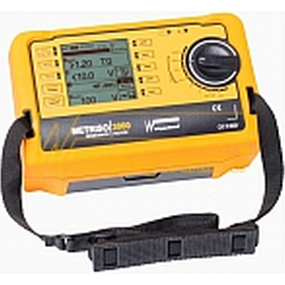 - Also has a 500 ma load test for receiver batteries and the BEC in your speed control. 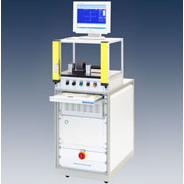 Automated Shock Test SystemsThe AutoShock II is a fully automated series of shock test systems used to measure and identify product fragility levels and evaluate protective packaging. With the simulation of real world shock pulses and impact energy levels, manufacturers can systematically test and optimize product design and packaging. L.A.B. 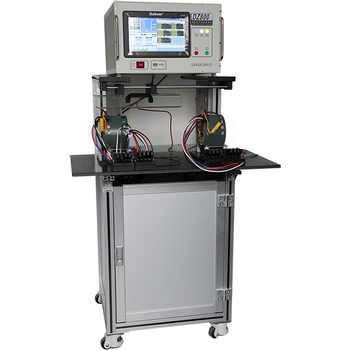 Equipment, Inc.''s fully automated computer controlled shock and data analysis test systems are the critical path in accomplishing this optimization. FX-210 - Qualectron Systems Corp. 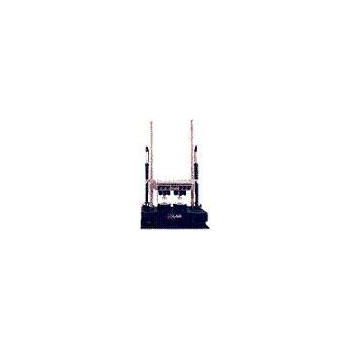 Features: FX-211 can withstand high voltage input, up to 100V. May be connected to a functional test system. Uses semiconductor switches. Programmable threshold level from 1O-1KO. FX-210 uses 128 pins, capable of expanding to support 512 pins. FX-211 uses 64 pins, capable of expanding to support 256 pins. Allow 100 test programs storage inside the modules.